With the calendar flip to August, we’re just one month away from hockey with the rookie showcase, training camp and preseason contests just around the corner in September. 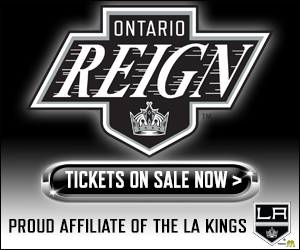 The Ontario Reign roster has started to become a bit clearer with signings made during the month of July. 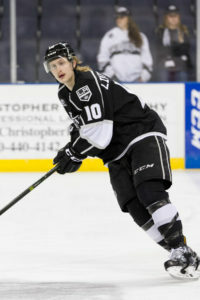 Defensemen Alex Lintuniemi and Kurtis MacDermid each re-signed with the Kings, while defenseman Sean Walker inked his first entry-level deal earlier in the month. 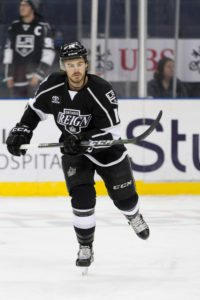 Those three defensemen made up 1/2 of the Reign’s playoff blueline a season ago and could see themselves featured on the 2018-19 edition of the Reign as well if they don’t make the Kings roster out of camp (as mentioned below, MacDermid did so last season and stayed in the NHL through January). Either way, if someone like MacDermid did push his way onto the NHL roster, it would bump another quality player into the fold in Ontario. 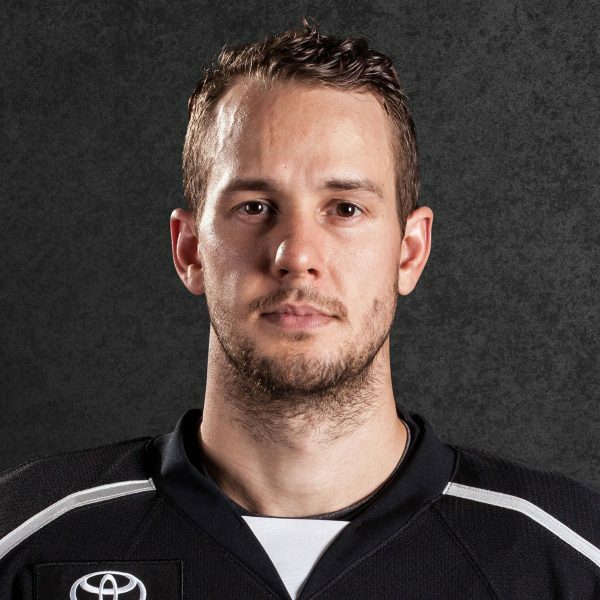 Up front, Ontario re-signed forwards Philippe Maillet and Sam Herr, who will step into more of a veteran role with Michael Mersch moving on, Mike Amadio and Jonny Brodzinski possibly to the NHL full-time and others (Auger, Crescenzi, Hensick) still free agents. Maillet had a strong finish to last season with 31 points (15-16-31) from 33 games played in the second half of the season. Players like Matt Luff and Austin Wagner, rookies a season ago, will have a year of professional experience under their belts as they look to carve out an even larger role as second-year players. 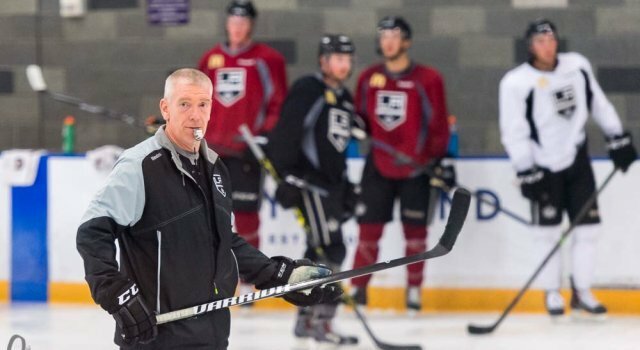 I chatted with Ontario Head Coach Mike Stothers earlier today to get his thoughts on some of those players that were recently re-signed and his approach to having a young team, especially at forward, in 2018-19. 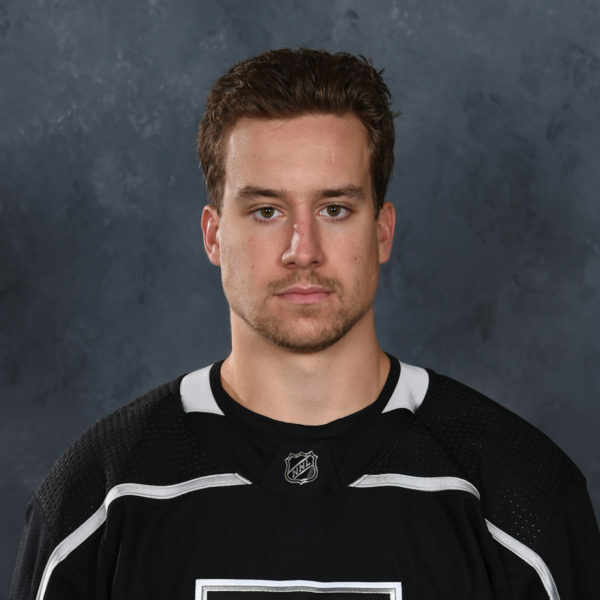 One never knows with training camp coming up and the possibility of guys playing with the Kings or starting the year with the Kings and coming down. I think we’re looking to guys like Sean Walker to build on the season he had last year, Matt Roy had a good, solid year for us as well and we’ve got some young, mobile defensemen coming [into the organization] with Strand and Clague. 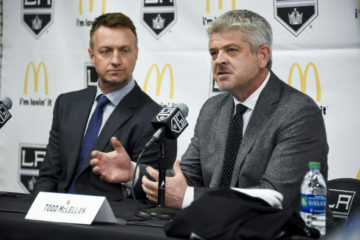 I still think we’re going to be young in that area and that’s the concern in the American Hockey League, but those guys will get their feet wet, get acclimated and hopefully get on a quick learning curve and be real good defenders for us. The biggest thing for him is that now he’s going to be looked at as one of the veteran guys back there. I think he really came a long way in the fact that he came in as a rookie with some pretty good promise and expectations and it took him a while to find his game. Part of it was just maturing and learning to look after himself on and off the ice. He did a real good job last year of getting himself in shape, keeping himself in top physical condition and it translated to what we all saw coming out of juniors and he had the year we all expected. Skating is his best asset and in today’s game, everyone has to be able to skate. To be able to skate the way he does as a defenseman, he was always up in the play. In the early parts of last season, he was guilty of being up the ice a little bit too much, wanting to join the attack and be a bit of a rover. Once he realized that first and foremost he has to look after our end, his skating ability, awareness and hockey sense took over and he was able to really capitalize on the offensive skills that he has. 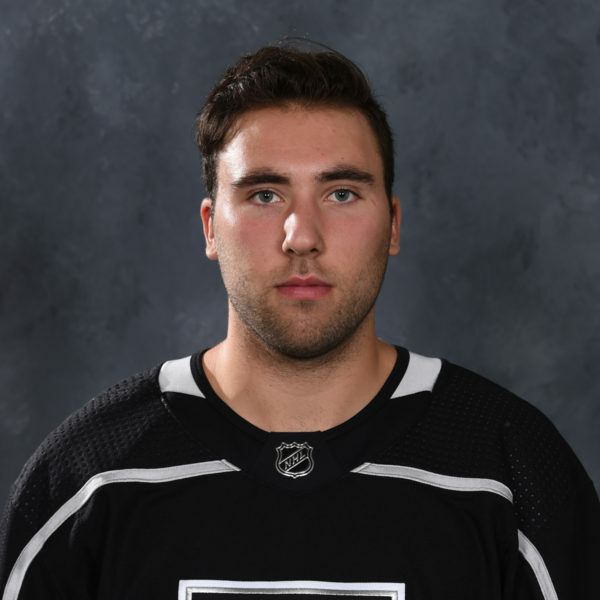 He’s a good puck mover, I expect him to be a real solid contributor for us on the power play this year and even though he’s labeled as a bit undersized, with the way he skates, there’s a real good chance that he’ll be playing with the Kings some day. He’s got a presence, right? We all know that he’s big, he’s rugged and he’s tough, but he’s done a real good job of rounding out the rest of his game and that’s being reliable, dependable, having good first outlet passes. He plays the game the right way, he’s learned to control his emotions a little bit so he’s not taking as many penalties as he did the first year, but I’m not sure he’ll even be with us. 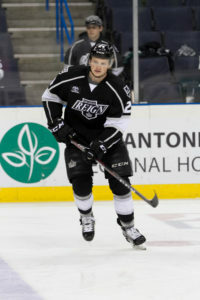 He started the year last year with the Kings and I know he’ll get a good, long look again this year. Because of that physical presence that he has, every organization is looking for it, I’m not sure he’ll be with us, but if he is, certainly he’s a leader, he’s a guy who’s well respected by his teammates and more importantly he’s well respected by opponents at our level. In the American Hockey League, everybody knows who Kurtis MacDermid is and everybody is aware when he’s on the ice. It’s a situation where there are going to be some growing pains at the start of the year as guys get used to being a pro. Coming in this year, the first-year guys and younger players, it’s all a part of getting some experience. We’ll play these guys and put them in as many situations as we can and try to help them adjust to the pro game as quickly as possible. 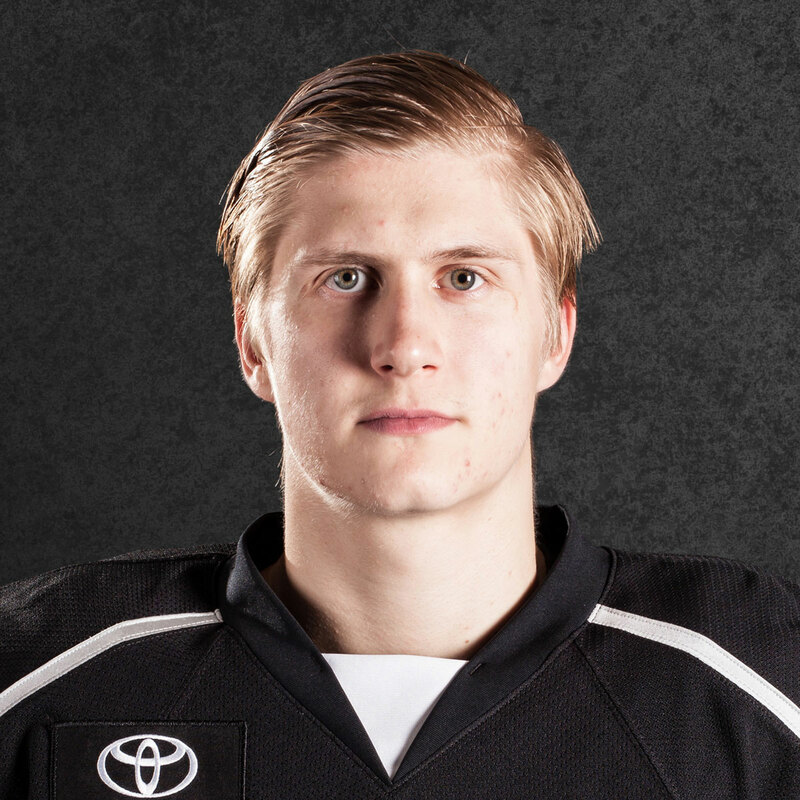 I think that Matt Luff was a good example of a guy that was a good scorer in the Ontario Hockey League and he came in and things weren’t quite as easy for him. He was now a young man playing against seasoned veterans that have played professional hockey for a number of years so he adapted his game a bit and learned how to prepare both on and off the ice. Knowing your opponent, who you’re matched up against, some different system things than he was accustomed to in juniors. 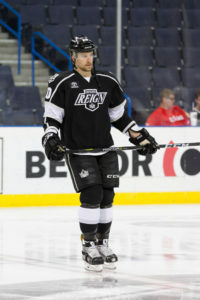 Wagner came in after he missed the first part of the season with an injury and we weren’t sure if we were going to have him or if he was going back to juniors for an overage season but he finished with us and because of his skating, he was a real contributor. They’re similar in the sense that they’ve got a lot to learn and they need to establish themselves. The situations or the ice time they get comes down to, first off, how well they report to camp, whether they’re in shape or not and we’ll put them in every situation we can to succeed. They’re both pretty talented kids and I expect the same kind of growth and progress that [Luff] and [Wagner] showed and hopefully where they start the season isn’t where they finish the season, they’ll be much improved and become contributors for us. He was a little bit different [last season] in that he was a bit older coming in. He was labeled a rookie, coming out of Canadian college hockey and he was a little bit older when he came in. He came in with some real good credentials as a point producer and in stretches last year he was real good and was contributing in that area. In those stretches where we weren’t getting as much production from him, he found other ways to contribute, whether he was killing penalties or picking up his defensive assignments. I think this is going to be a real good year for [Maillet], I think it’s going to be a breakout year and we’re going to need it, the kind of speed and energy he brings, hopefully he can be pretty creative for us offensively. I think you have to be real with what you have. Last year we knew we were going to be younger and there were some times where it didn’t seem to be progressing as quickly as we would’ve liked but that’s part of having patience. With this group this year, it’s going to be much of the same and it’s going to take some time. We’re a development league anyway and with American League teams, the thought process now is that everybody is getting younger. The veteran players aren’t hanging around as long as they used to and, if they are, they’re not playing as much. The emphasis is to get these guys acclimated as quickly as possible and playing in all situations and that’s the only way they’re going to improve. They’ll be some nights where things will go great and they’ll be some nights where we won’t get the end result that we’re looking for. Having these guys show the potential and improve enough, they’ll be considered a Kings prospect or player in the near future or a couple of years down the road.